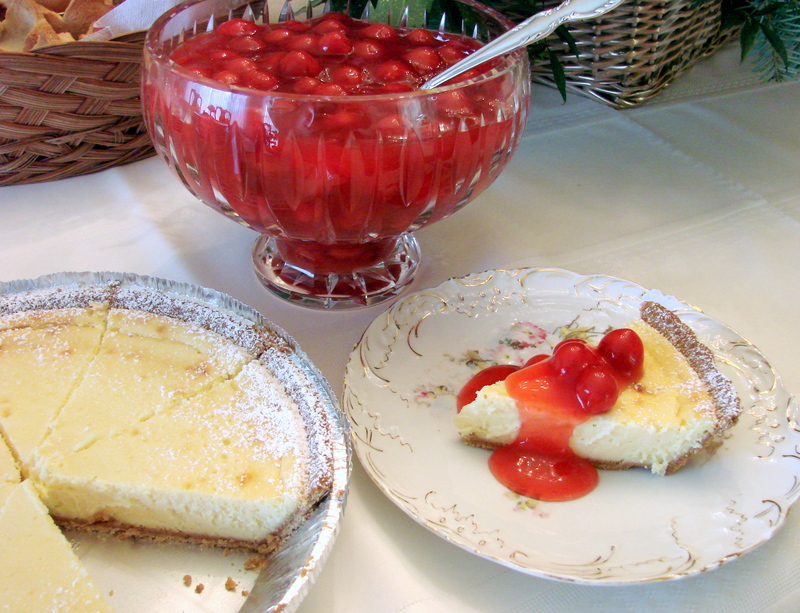 I received an email that my cheese cake recipe was included in the “Vanilla” story in http://www.nobility.org blog…. Thank you… to the editors of Nobility and Analogous, Traditional Elites in the Allecutions of Pius XII. I love that you took the time to test my recipe and came up with a very interesting idea…to make the crust with Amaretti di Saronno….an Italian cookie…. I can see that that would make my cheesecake even better…because Almonds in any form do enhance cherries…or any cherry pastry…. Can’t wait to make this tomorrow, our Charlie and wife are coming Thurs. from HI to spend a little time with us. We are all going up to see Shayna/Harvard, swim water polo for a tournament. Well have them for 4 days, then again for graduation and a cruise. God is so good. Hope you are really enjoying your new nest!